To order a print or a private commission of any wildlife or animal drawing or painting, please contact the artist. Original Sold. 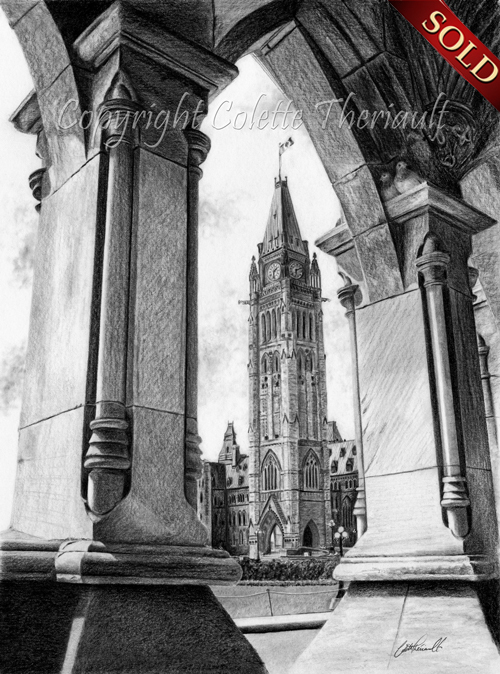 "The View From The Arch"
A view of The Tower of Victory and Peace as seen through the Arches of The East Block, Ottawa, Ontario, Canada. Two pigeons snuggle above a ledge on the archway.